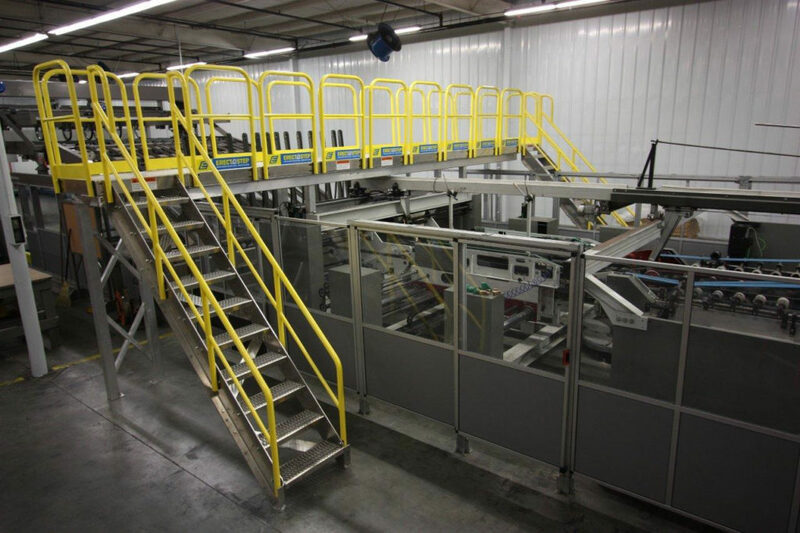 Erectastep industrial metal stairs and platform to crossover manufacturing equipment to facilitate OSHA compliant access to both sides of the line. Quick shipment, easy installation, and quality product. I am using the SafeRack product to create a cost effective solution vs. a custom fabricated product. Quick shipment, easy installation, and quality product. Sales folks were very accommodating and responsive, making me feel very comfortable and as if I was a partner.